At Epping Preschool our dedicated and professional educators provide four-year-old kindergarten programs that engage children in play-based learning experiences. We believe play can take many forms, which allows children's learning experiences to be pleasurable. It also motivates children to be inquisitive and to develop a positive attitude towards learning. We strive to nurture children's unique qualities and potential. We understand parents' critical role as both a child’s mentor and role model. To reflect this, at the start of the year, we conduct an individual interview with families to discuss their child's likes and dislikes and gain important knowledge of their background. We consider children's developmental level as we plan our learning experiences. We strongly believe in following children's interests, and our small and large group projects allow children to guide their learning by openly discussing decisions, making choices and solving problems. We value and respect diversity and believe children need to be aware of the differences we have in appearance, abilities, family structure, language, gender and culture. For this reason, we provide a wide range of experiences that encourage children to explore diversity in their way. Most importantly we allow children time to learn, time to play and time to enjoy! Our programs provide plenty of time outdoors. Our large grassy area is perfect for running and active games. 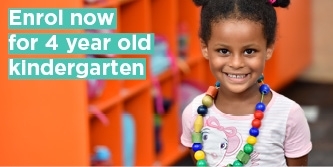 Indoors, our preschool features intimate spaces where your child can play alone or in small groups. We encourage children to be aware of their environmental responsibilities. Your child will learn about planting, recycling, saving water, and smelling flowers instead of picking them. At Epping preschool, your child will experience sustainable living first-hand by playing in our digging patch and helping establish our herb garden.